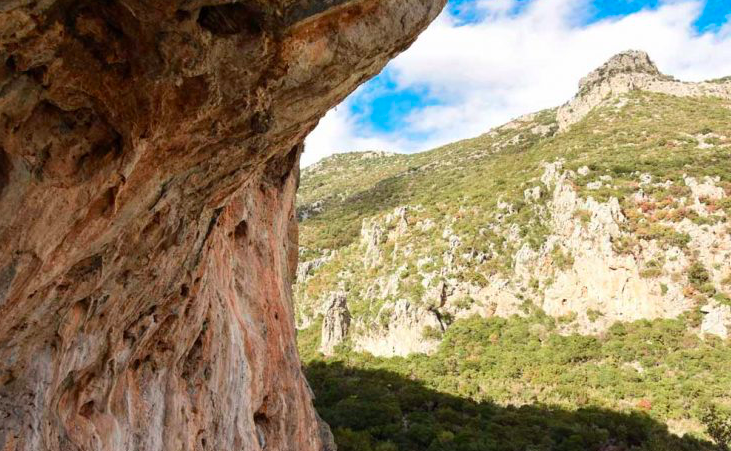 The Peloponnese is an up and coming rock climbing area that has been developed in recent years in the beautiful South of Greece. 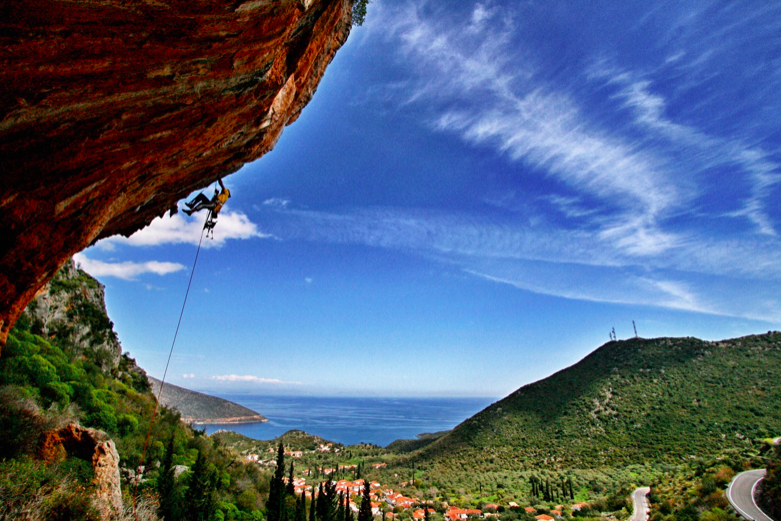 The main rock climbing areas are the ones of Leonidio, Nafplio and Kyparissi. 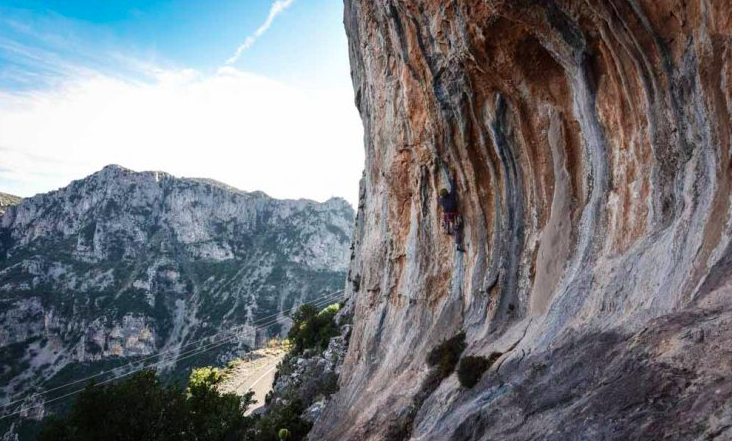 Leonidio is the largest rock climbing area with more than 950 routes spread across over 50 separate crags. Here there is a wide variety of climbing with single and multi-pitch routes up to 250m high, with grades from F5a to F9a. 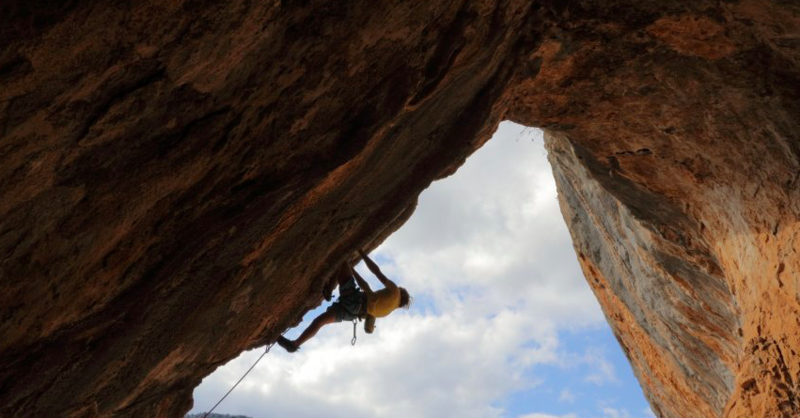 Leonidio is a great place to go climbing in the winter months. 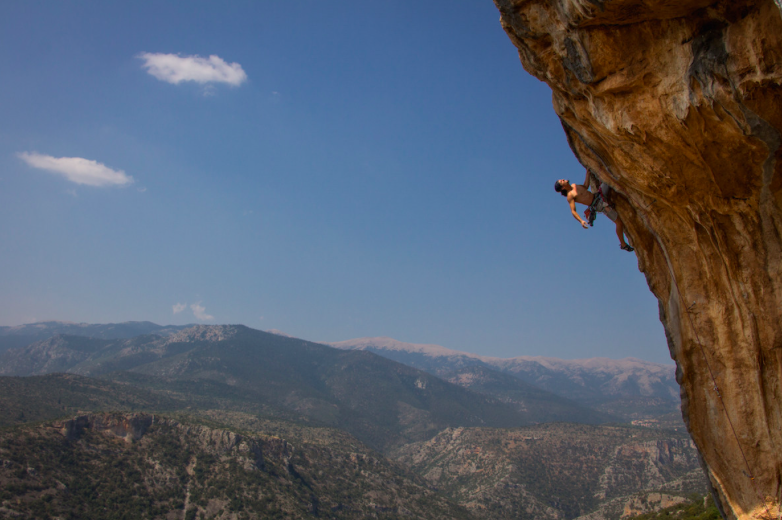 Nafplio is in the Argolis district of Greece where there are over 12 rock climbing areas. 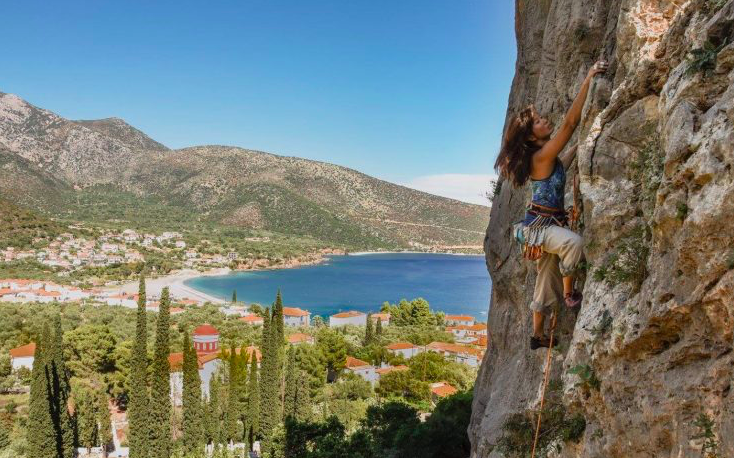 The best of these rock climbing areas are the seaside crags near Nafplio. Neraki is a red limestone wall next to the sea with 120 routes mostly in the F4b to F7b grade range. 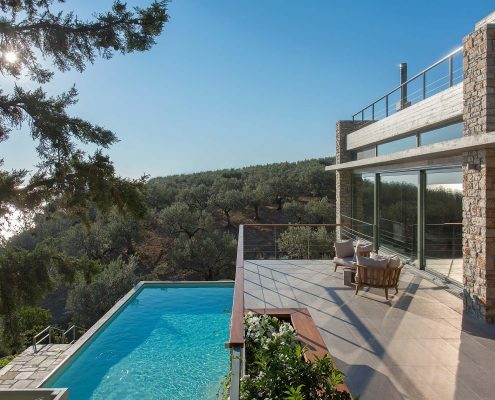 Kyparissi is a beautiful village set in a stunning coastal location surrounded by limestone of outstanding quality. Across 9 different crags, it has 250 well protected routes across a wide range of grades (F5a to F9a). The crown jewel among them is Babala, a world class crag featuring hard tufa routes.